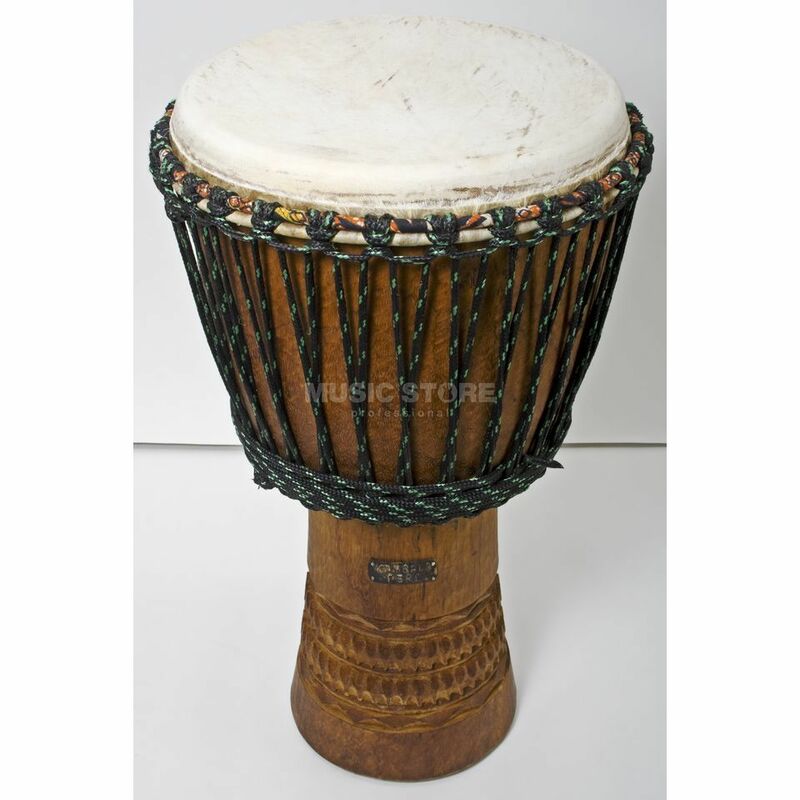 The Kambala DJ 105/33 Djembe is a wooden djembe, featuring a 33cm diameter, a 65cm height, and a goat head. The 105/33 is from the Master Series by Kambala, which features more tension knots that standard djembes, allowing higher tunes to be played. Featuring extra ornaments on the foot, this djembe is constructed to a professional standard.